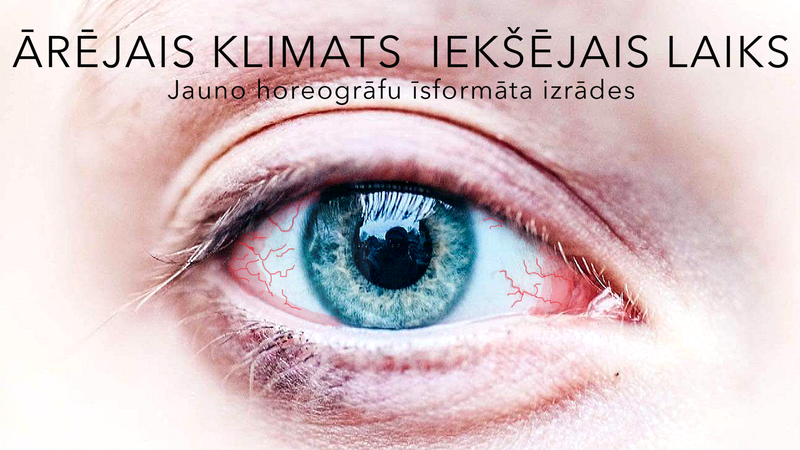 Public Climate Private Weather is a series of short length works by the youngest generation of Latvian dance makers. These are artists that graduated the Latvian Academy of Culture in summer 2018 and refer to themselves as the fifth generation of Latvian contemporary dance. Conscious and open, they seem equally concerned by what is significant for them personally and how it resonates with the world around them. The first series presents three newly made, 20 minute solo pieces by Alise Madara Bokaldere, Laura Kušķe and Līga Ūbele. All the performances have been created with simple technical means, focusing on the presentation of idea and encounter with spectators. During the process the artists were mentored by director Anni Klein from Helsinki based art collective Wauhaus. Tickets 12 eur and 9 eur (students, pupils, pensioners, people with disabilities) at Biļešu paradīze box offices, www.bilesuparadize.lv and at the door before the performance. Developed and produced by the New Theatre Institute of Latvia in collaboration with Dirty Deal Teatro. Supported by State Culture Capital Foundation and LKA Eduarda Smiļģa Theatre Museum.